There’s really very little reason for most people to use gas-powered lawnmowers these days. They’re loud, they require a fair amount of maintenance, they’re a disaster for the environment, and most importantly, electric mowers have gotten really good. 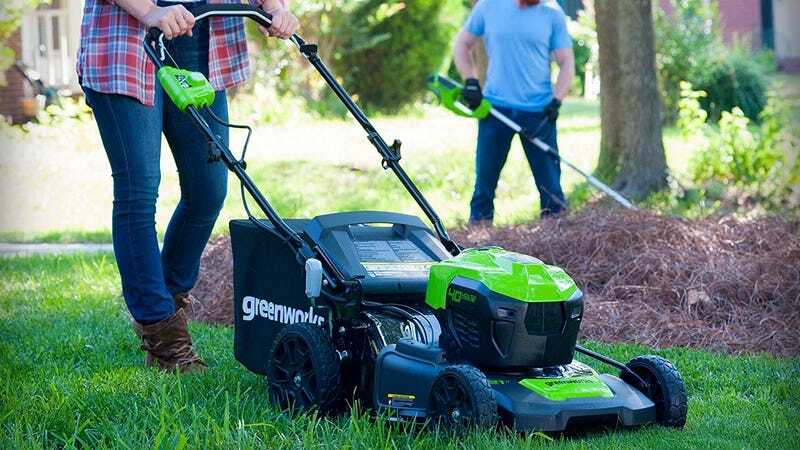 This 21" model includes two batteries that should give you a combined 70 minutes of mowing time. It almost always sells between $290 and $400, but Woot’s currently marking it down to an all-time low $200. I know it’s not exactly grass mowing season in most of the country, but by buying it now, rather than in the spring, you’ll save a bundle.